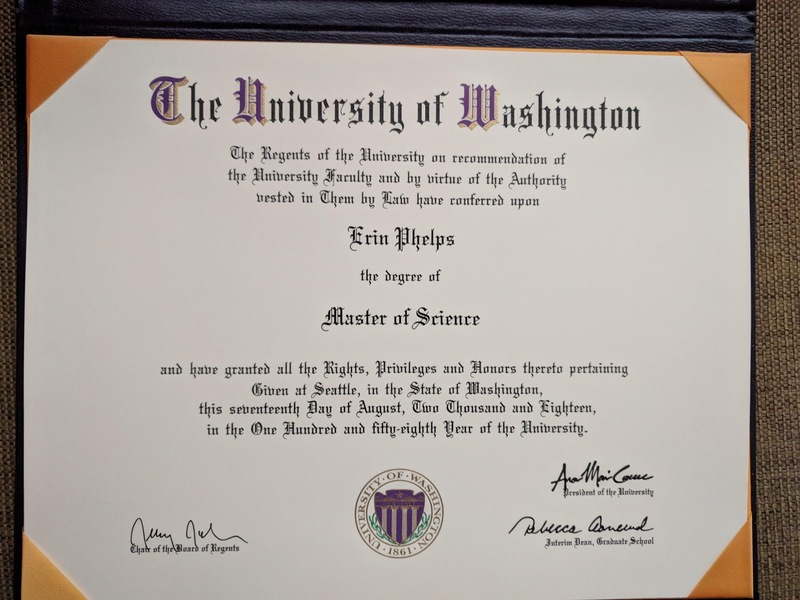 The Island of Phelps: It's Official! 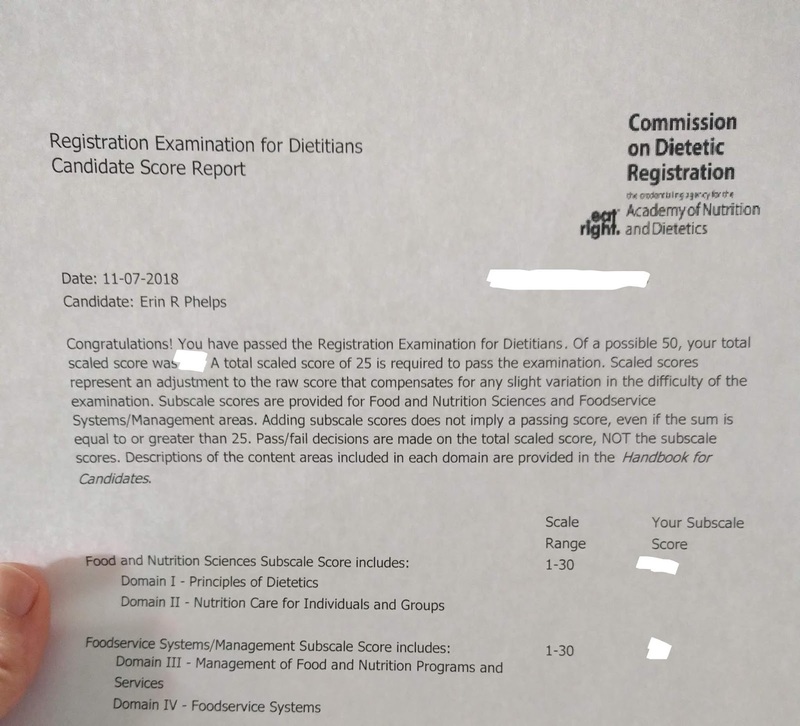 This past week I took (and passed!) the RD exam, the final hurdle before I could feel totally done with school and ready to go find a job. I'd planned to take it mid-October, but a mix of concerts, it taking more work than anticipated to get the kids' school years off to a good start, and lack of availability of the testing center meant that I had to push the exam back a few weeks. In some ways it was good timing because it prevented me from being able to pay much attention to election news. 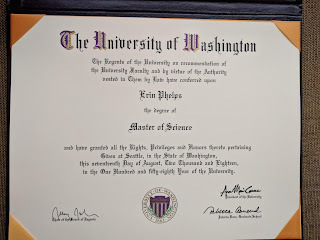 By chance, my diploma also arrived this week. So now I get to feel very official. While it was kind of fun when an IRB reviewer accidentally addressed me as Dr. Phelps, I'm more than happy to stick with Erin Phelps, MS, RD. Congratulations! 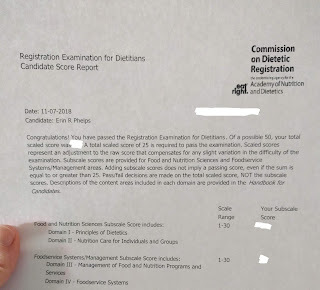 I had full confidence that you would pass, but it's always nice to have it actually done! I'll even do a happy dance in your honor. That is so great, Erin! It's hard work to juggle schooling and mothering children, and you did it! Woot! CONGRATULATIONS!!!! What an accomplishment! Good call putting off the test for a bit-- take it when you're good and ready (and then totally pass it)! I'll be curious to see where you end up working now! As I've said before, I know NOTHING about what you've been studying, so I don't know if you look for jobs at a hospital, nutrition center (ARE there nutrition centers? ), lab...? No clue here! Can't wait to hear more!